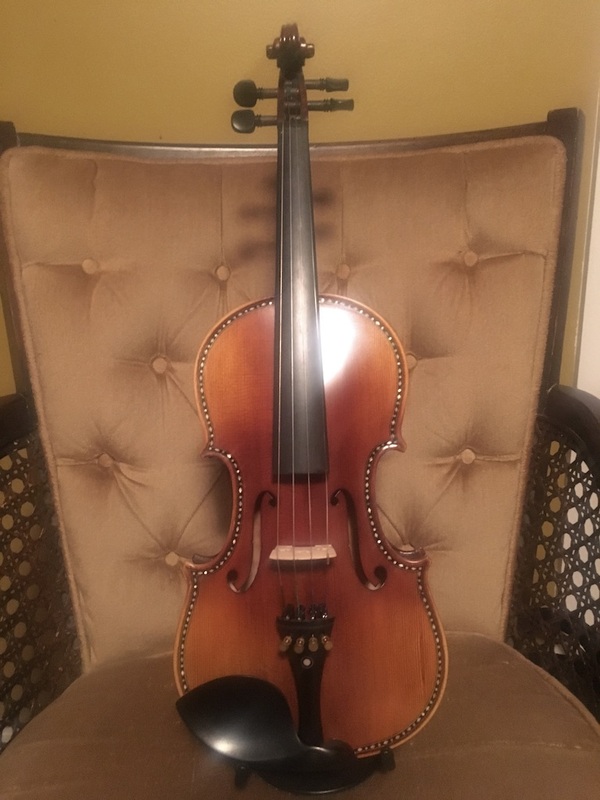 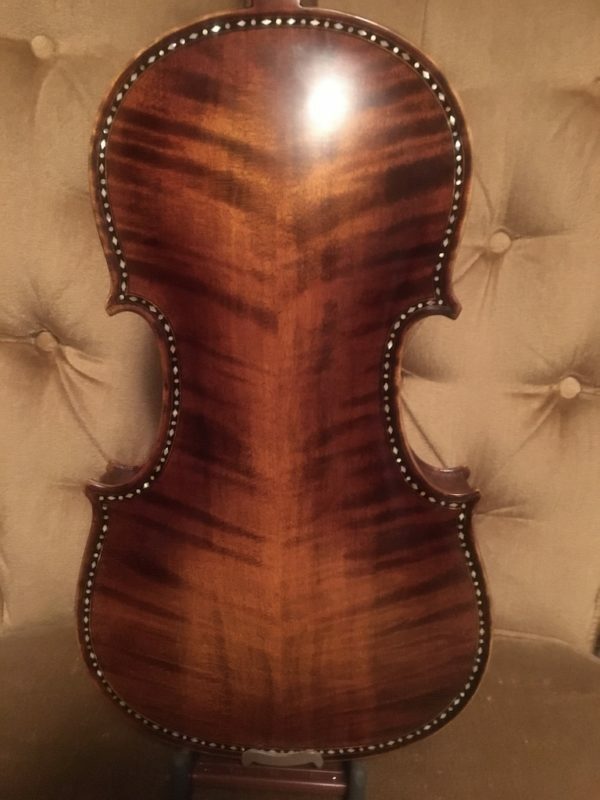 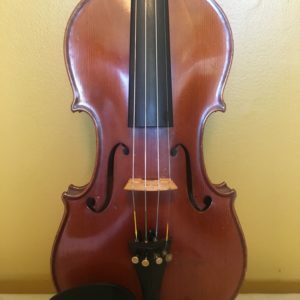 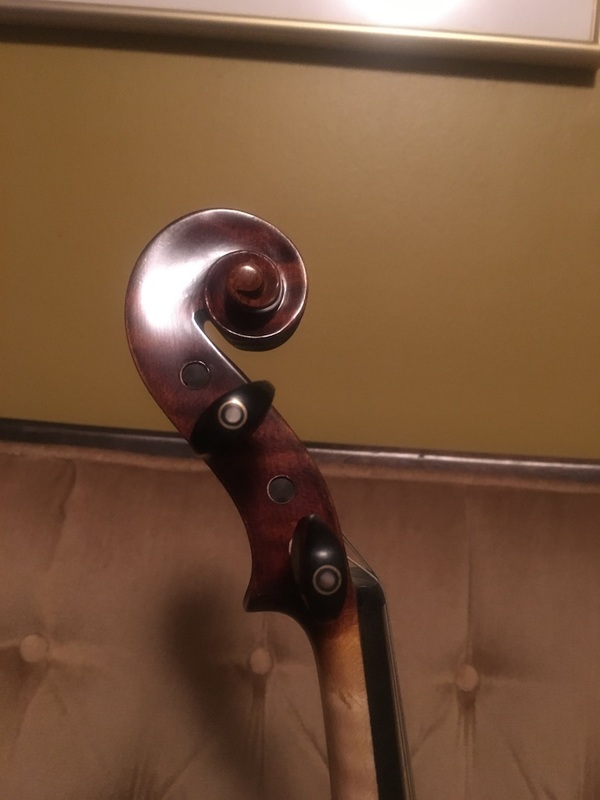 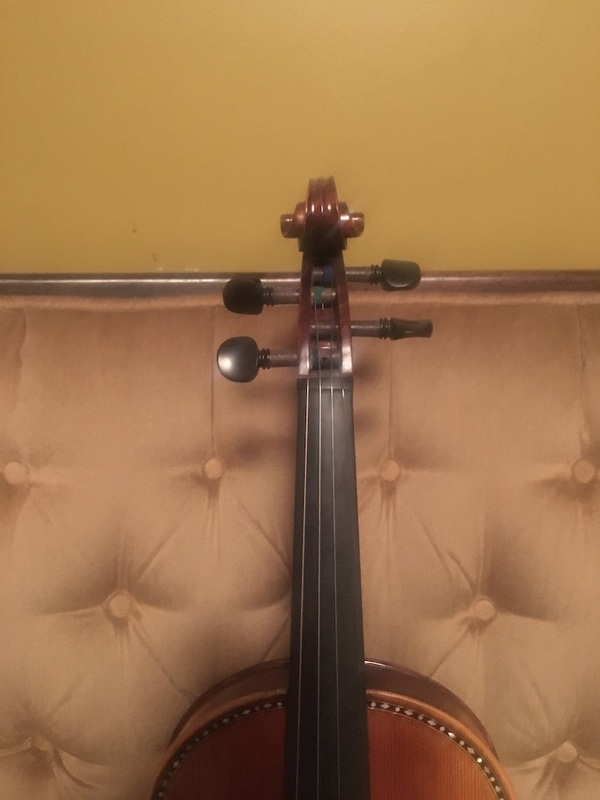 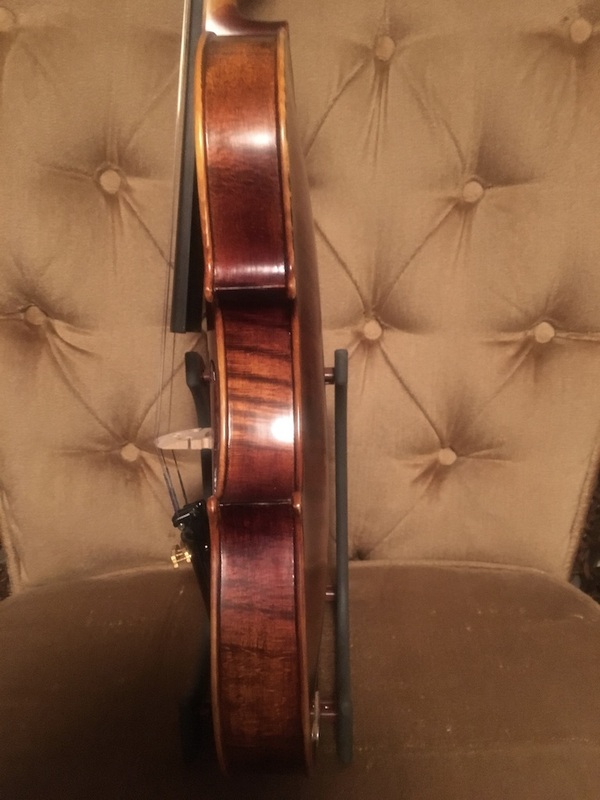 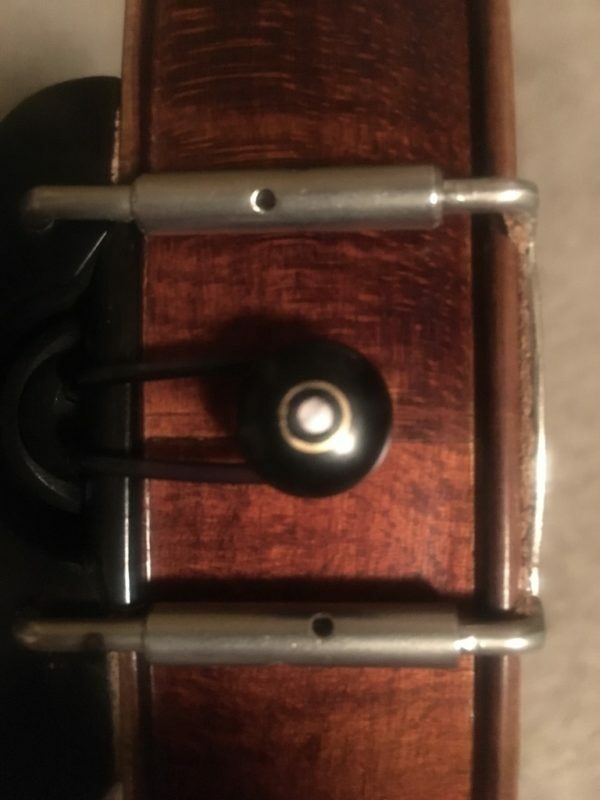 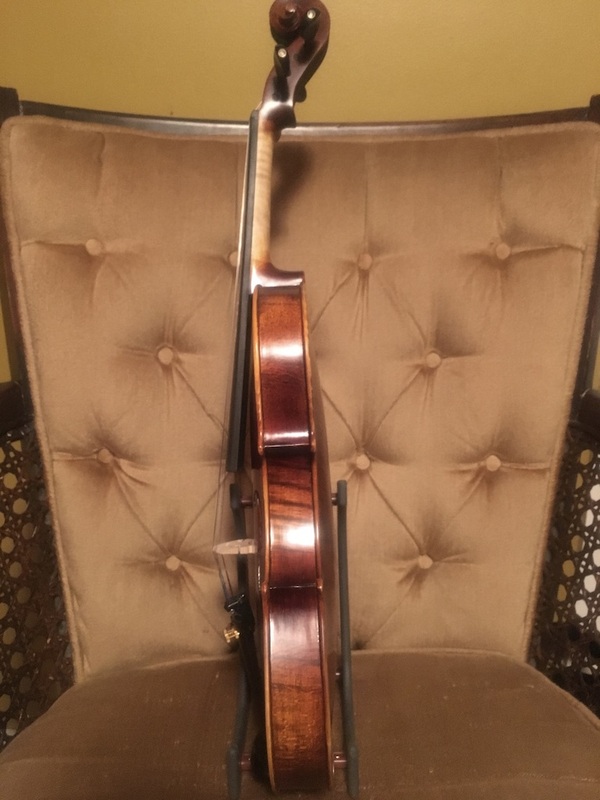 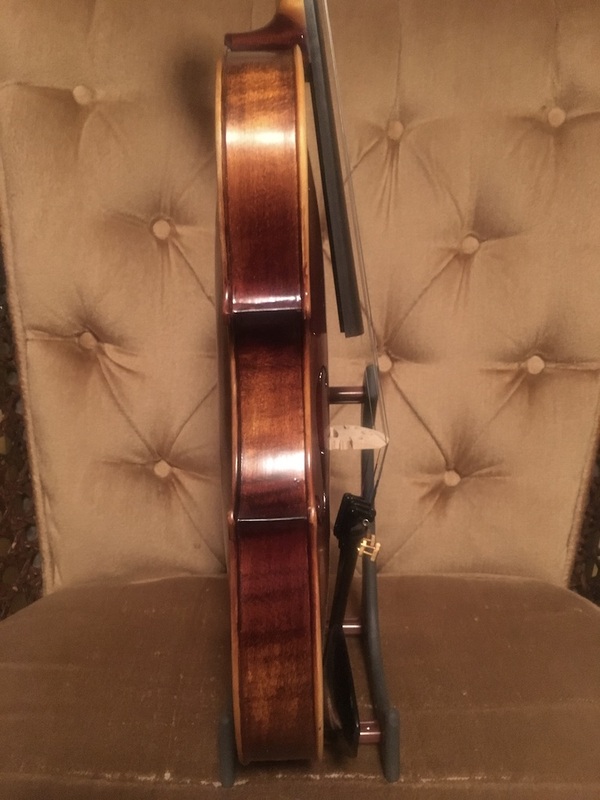 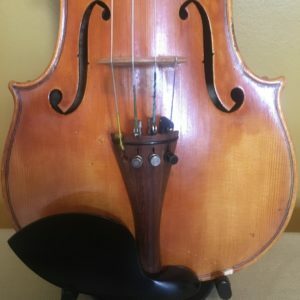 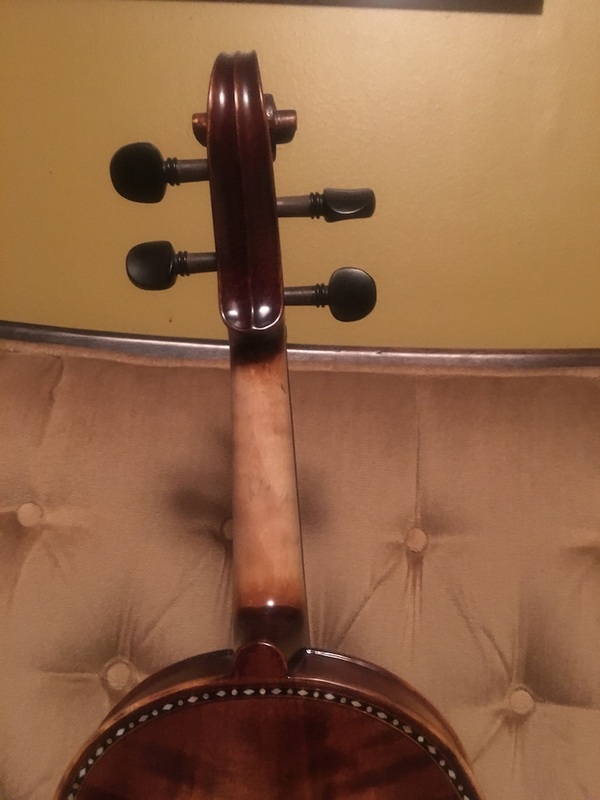 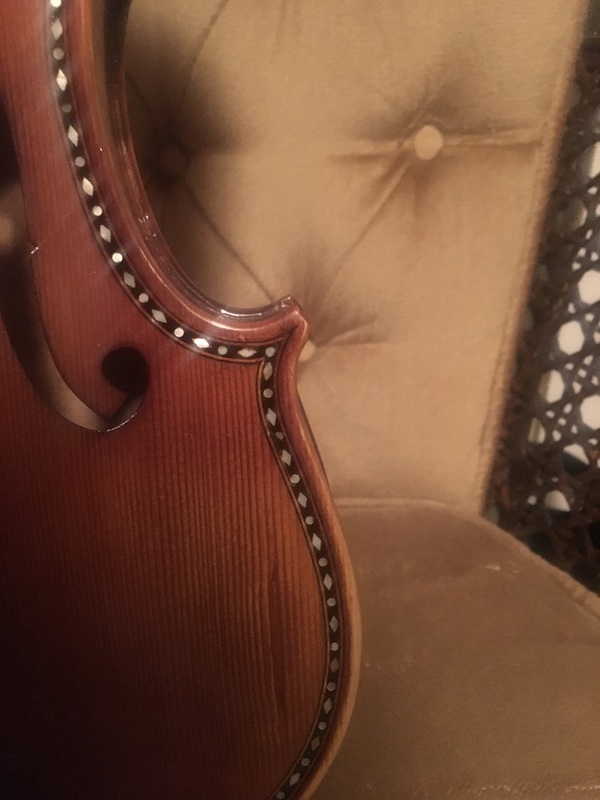 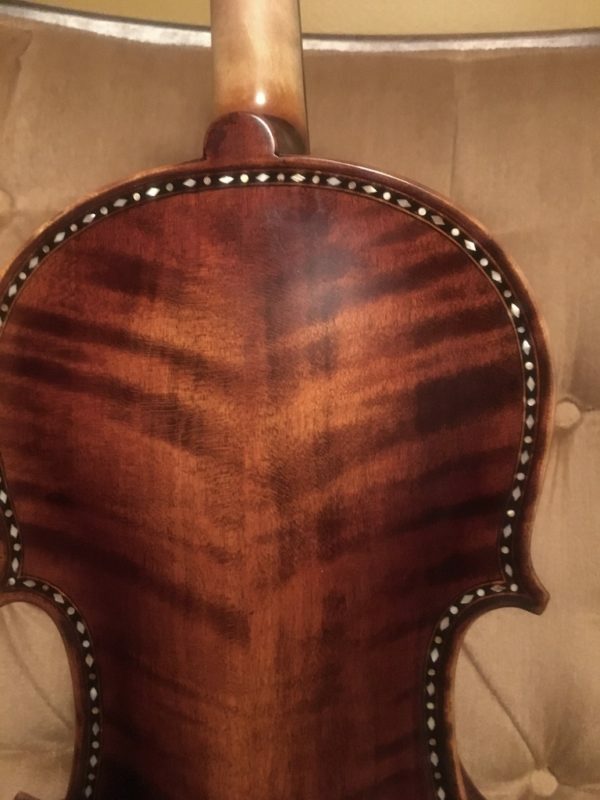 This is an intermediate level student violin featuring a beautiful marble inlay purfling on top and the back. 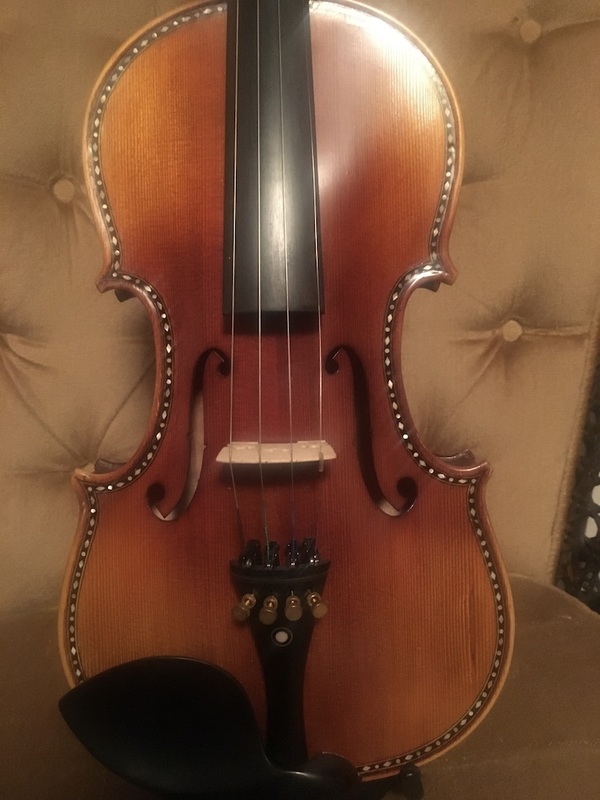 Very balanced and pleasant tone, good craftsmanship, ready to play. 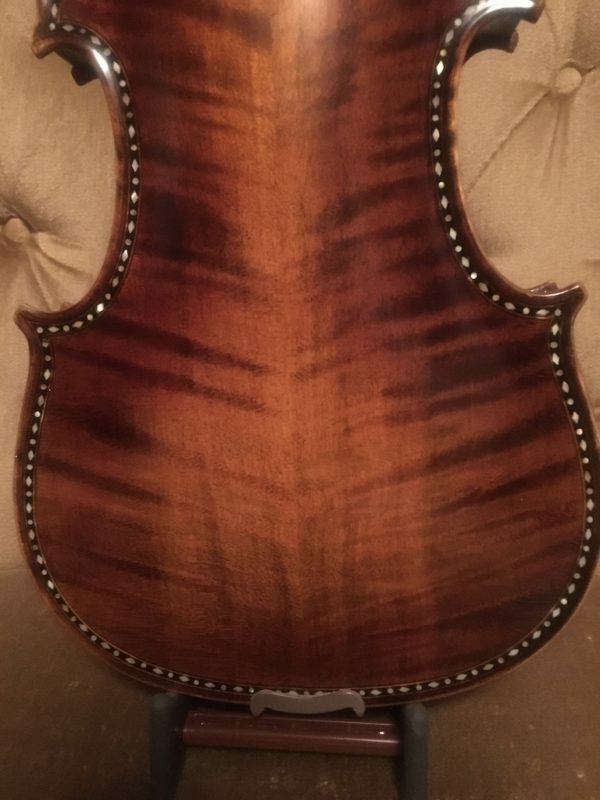 Features top quality narrow grain spruce and dark, wide grain two piece maple back. 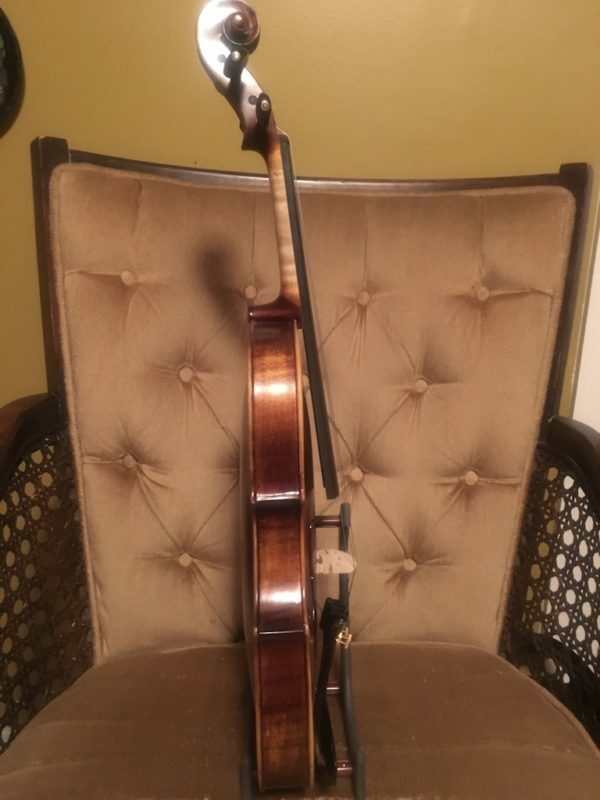 Comes with a free pernambuco bow, new tailpiece, case, rosin and a new set of strings (on the violin). 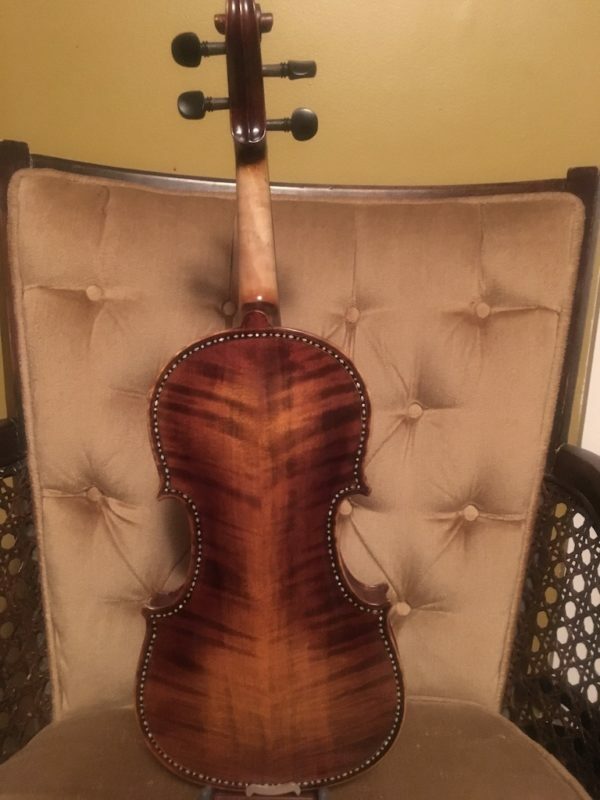 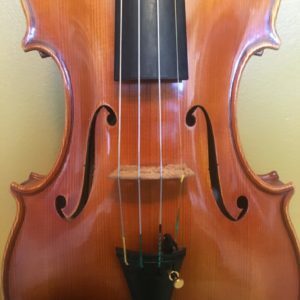 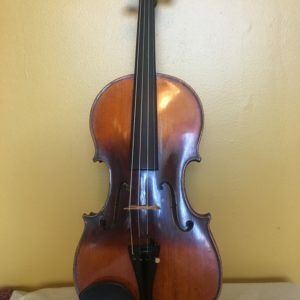 $900 for the entire package or $700 for the violin alone.